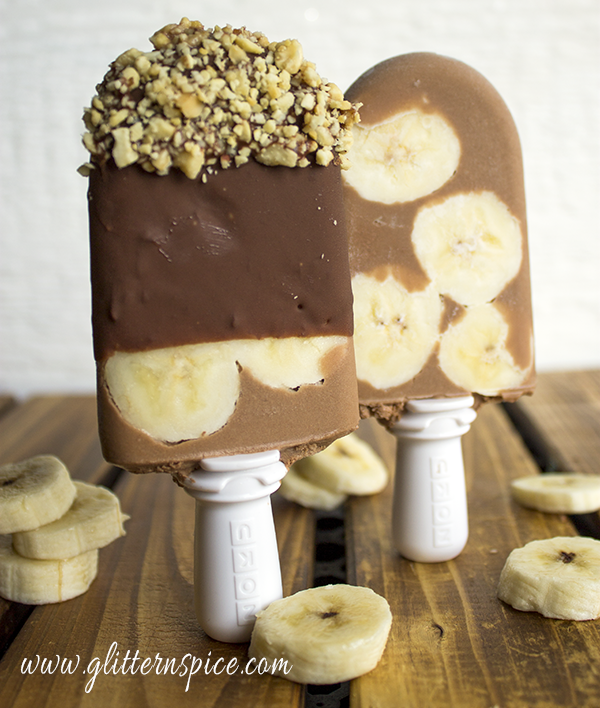 If you are a fan of bananas, chocolate, and peanut butter, you are gonna love these Chunky Monkey Popsicles! 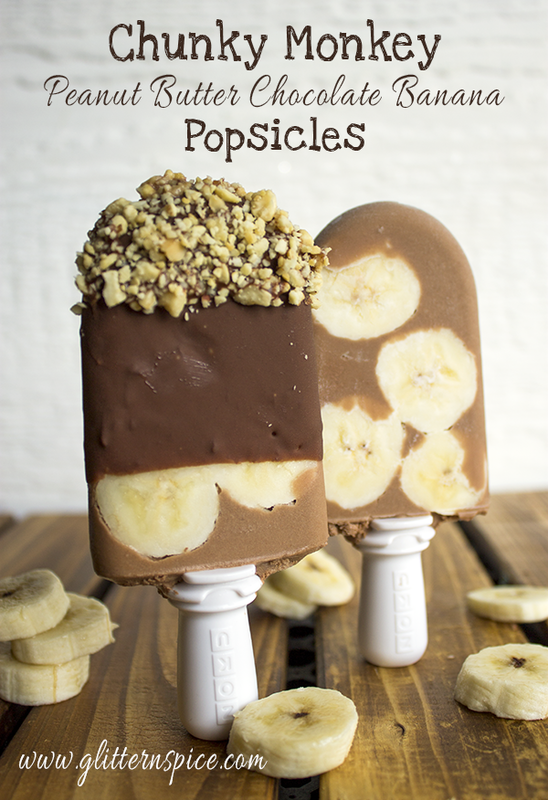 One of my kid’s favorite snacks is a banana smothered in peanut butter with chocolate chips and chopped peanuts sprinkled on top, which was the inspiration for these tasty popsicles. Even the name of these ice pops holds a special place in my heart because I used to call my daughter a little chunky monkey when she was a baby! 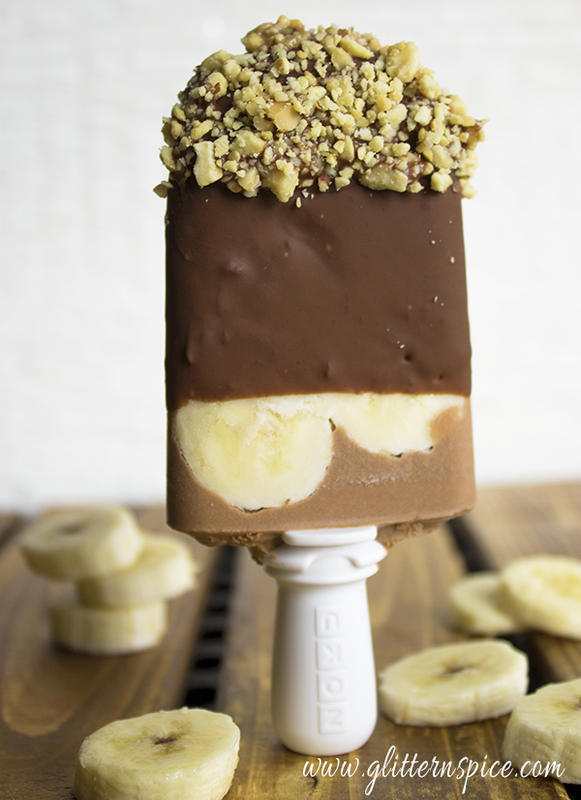 I made these Chocolate Peanut Butter Banana Chunky Monkey Popsicles using our Zoku Quick Pop Maker which I LOVE and the Zoku Chocolate Station. It takes less than 10 minutes to freeze a batch of popsicles, which is especially great if the kids are in need of a healthy snack on the go. I used a mini blender to make the peanut butter chocolate popsicle mixture, but any size blender will work or you can use a whisk to blend it by hand instead. Blend the chocolate syrup, peanut butter, and milk together and set aside. Peel and cut a banana into thin slices. 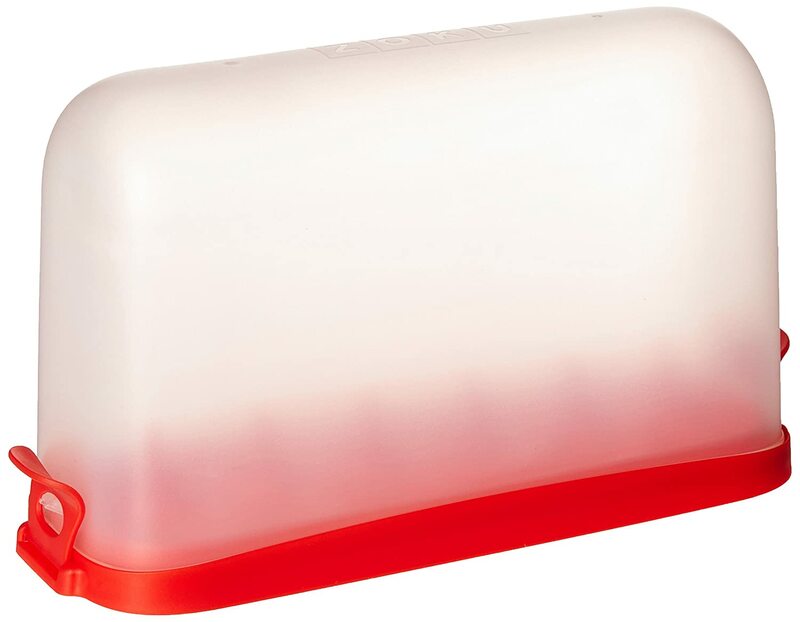 Pull out your Zoku Quick Pop Maker from the freezer, making sure it has been given a full 24 hours to freeze solid beforehand. Place the Zoku Popsicle Sticks into the slots and then using the fruit wand from the Zoku Quick Pop Tools, press banana slices to the inside walls of the slots. After you have finished arranging the banana slices, pour the chocolate popsicle mixture into the slots until the liquid reaches the fill line. Allow the popsicle to freeze for 9 minutes. 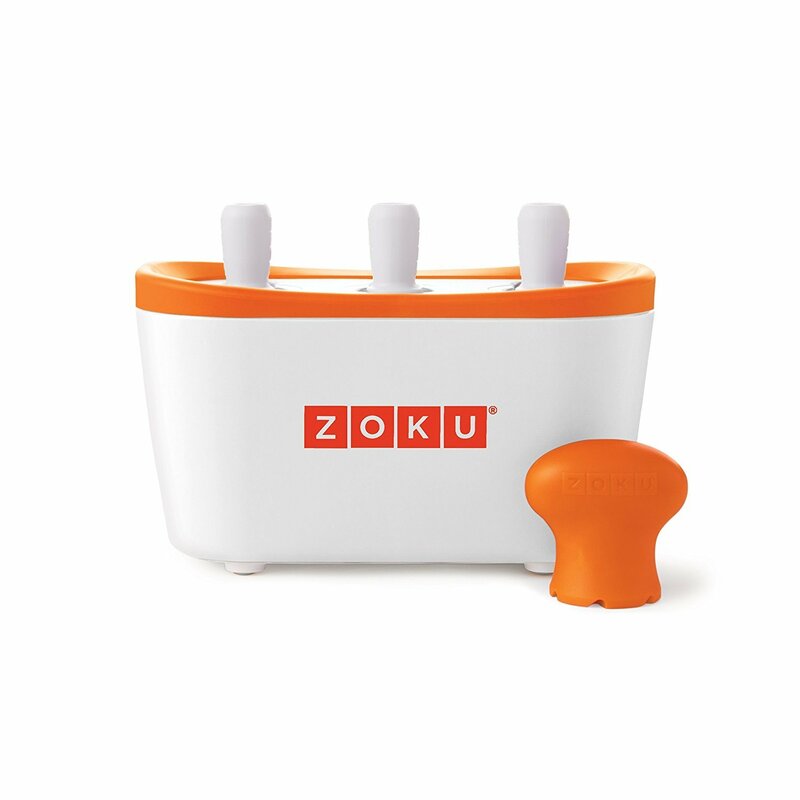 Using the Zoku Super Tool, remove the popsicles from the Quick Pop Maker. Repeat with the remaining mixture for a total of 6 popsicles. While you are waiting for the popsicles to freeze, make the Magic Shell Chocolate Coating. In a microwave-safe measuring cup, combine chocolate chips and coconut oil and microwave on high for 30-second intervals until the chocolate is melted. Take care not to let it become too hot because it will melt the popsicles and not stick. 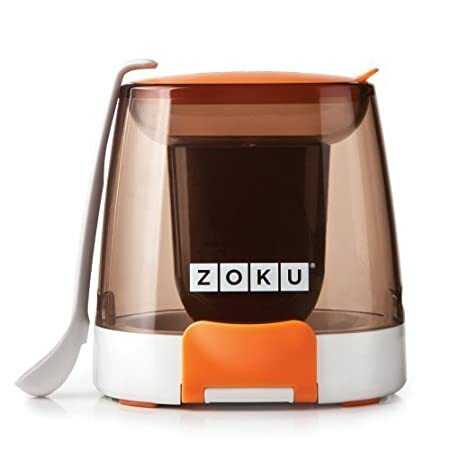 Pour the melted chocolate into the Zoku Chocolate Station. The bottom of the Chocolate Station holds two containers for holding toppings. Roughly chop the peanuts and place into one of the containers. Dip each of the frozen peanut butter chocolate popsicles into the melted chocolate and then quickly dredge in the chopped peanuts. Work with one popsicle at a time because the chocolate magic shell coating only takes a few seconds to harden. Store the Chunky Monkey Popsicles in a Zoku Storage Case and place in the freezer until you are ready to eat them. 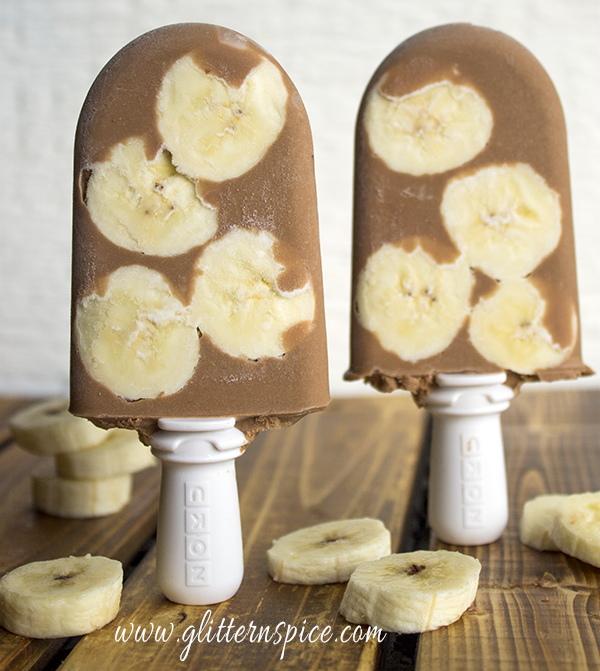 If you are a fan of bananas, chocolate, and peanut butter, you are gonna love these Chunky Monkey Popsicles! Combine chocolate syrup, peanut butter and milk in a blender and blend until combined. Set aside. Remove frozen Zoku Quick Pop Maker from the freezer and place the popsicle sticks into the slots. Slice a banana into thin slices. 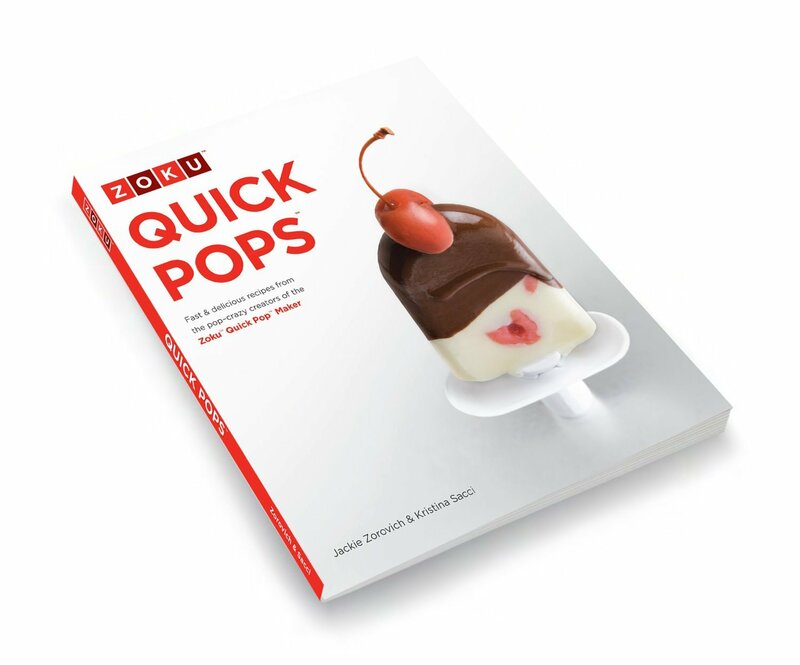 Using the fruit wand from the Zoku Tools, place the banana slices onto the inside walls of the Quick Pop Maker. Pour the chocolate and peanut butter mixture into the Zoku, filling each slot until the liquid reaches the fill line. Allow the popsicles to freeze for 10 minutes. Remove the popsicles from the popsicle maker using the Zoku Super Tool. While the popsicles are in the process of freezing, combine chocolate chips and coconut oil in a glass measuring cup. Microwave on high at 30-second intervals until the chocolate is melted. Roughly chop the peanuts and place into one of the trays located in the bottom of the Zoku Chocolate Station. Pour the melted chocolate into the Zoku Chocolate Station. Dip the frozen popsicles into the melted chocolate and quickly dredge them through the chopped peanuts. Keep the popsicles frozen until you are ready to serve them. 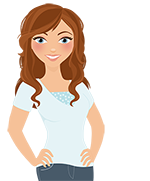 Thanks for visiting, and I hope you enjoyed this recipe for Chunky Monkey Popsicles. 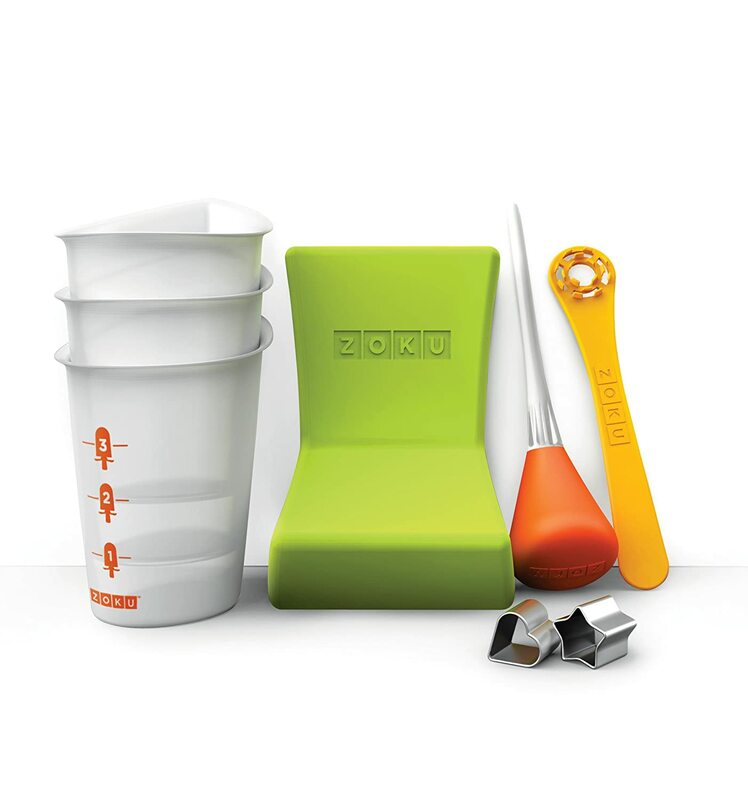 You can purchase all the Zoku products on Amazon or through the Zoku website.